hiber | How much does a new boiler cost? Boilers come in all shapes and sizes, and not all quotes are created equal. From the small and simple for small city flats, to the large and powerful for big country houses, there’s no one answer to the big cost question. The right boiler for you will depend on how big your house is, how much hot water you use, and how easy it is to heat your home throughout. And as with everything in the modern world, there’s also a range of brands, installation companies, and other options for you to choose from. Add to that the flexible control options now in the market, such as smart thermostats, as well as warranty and aftercare to keep your system in good shape, and you’ve got quite the list of factors that affect the 'cost of a boiler.’ We’re here to help demystify these for you - by the end of this article you'll be armed with the information to make the right decision and be confident in doing so. So, what goes into a boiler quote? What are you actually getting for your money? So where to start? Let’s look into what goes into a quote - like many people, you might be imagining that a boiler quote is simply the cost of a boiler, plus the cost of installation. But like with everything, it’s not quite that simple. Some of these are determined by your home and living situation, such as the heat output of the boiler, and others allow you a bit more choice. We’ve broken these down for clarity and provide a bit more detail on each to help you know what to expect and make the right choices. The first question is which type, size and brand of boiler is right for your home. Combi or Regular? 25 or 30kW? Worcester Bosch or Ferroli? Each of these will affect the cost. Boiler type - combi, regular, or system? Is a combi boiler the right choice? You’ll likely have heard about ‘combi’ boilers are are probably wondering whether they are right for your home. A combi boiler provides heat and heats water on demand, which means you don't need a hot water cylinder - water is heated 'as needed' for heating, showers or washing up. They’re efficient, and space-saving, and have enough power for most small to medium-sized homes - a good rule of thumb is for properties with 1 bathroom, or smaller properties with 2 bathrooms, a combi can be a good choice. A key benefit of combi boilers is not running out of hot water, as water is heated as you use it, not all in one go in a cylinder. When is a combi not the best choice? Although some properties can go either way, in general if you have more than 2 bathrooms and a large number of radiators (15+ is a good guide), you may need a 'regular' or 'system' boiler installed, instead of a combi boiler. This is because combi boilers usually can’t keep up with the demands of households using lots of hot water at once, as it needs to heat it as it's used - for example, lower pressure with multiple showers at once. 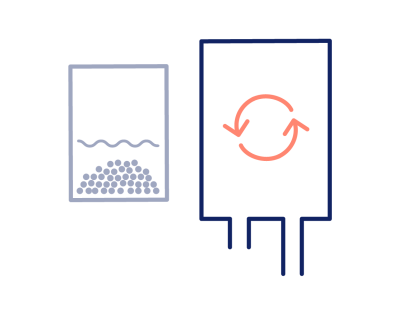 Regular or system boilers have a separate hot water cylinder, so aren’t limited by the power of the boiler to heat up water on demand - everyone will have hot water at the same pressure (until the tank runs out). It’s not black and white. Larger combi boilers (some with storage tanks, like the Viessmann 111-W, providing the best of both worlds) are coming onto the market all the time, making the efficient combi option accessible to more homes. 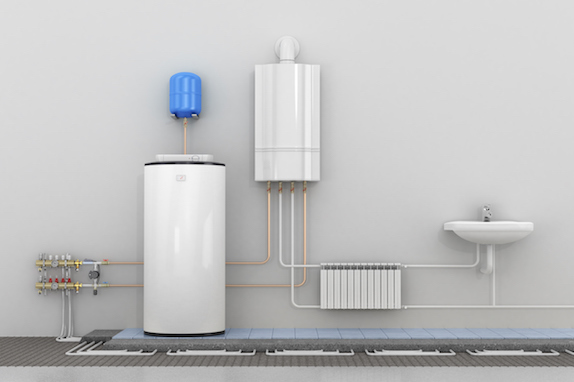 If you already have an older central heating system with 1 or 2 water tanks, and all the non-boiler parts are still in good health, it may be best to keep replace your current system with another regular or system boiler (rather than a combi) and replace the boiler unit only - a simpler and less disruptive job. Either way, it’s a good idea to speak to your installer to discover your options. The size or power is the second thing that affects the cost of the boiler itself. Heating power. As a rule, if you have a larger property you’ll need more power to heat it - especially if you have a lot of rooms and radiators. The boiler must be able to push hot water around the house quickly and effectively, and needs the extra power in larger properties to ensure you aren’t waiting for hours for your radiators to warm up. For a combi, a typical small to medium home suits a 25-30kW boiler, while larger properties can benefit from a 35kW boiler. For regular and system boilers, you won't need quite a high output, as the water doesn't need to be heated on demand, so between 18kW and 30kW suits most properties. Hot water output. The more people in your household, the more hot water users there will be, so if you have several bathrooms that are all used at once at busy times of the day, your boiler will need more hot water output to handle the flow. The ranges above are a good guide. We have a handy tool here that can help you work out the boiler size for your property. Or you can speak to a reputable installer who will be able to suggest the right size range for your home and living situation. The brand of your new boiler will affect the price that you pay. Not all brands are created equal, and it pays to invest in a more reliable model. We find that top boiler brands like Worcester Bosch and Viessmann (independently rated as the most reliable models by Which?) not only last longer, but typically have more generous warranties and better service when something does go wrong. Other good brands include Vaillant and Ideal. All these boiler brands have good availability of parts and engineers for callouts. There are cheaper brands with a lower upfront cost, but can often cost more money and stress down the line in the form of breakdowns, waiting for engineers, repair costs and the early replacement of the boiler. You can read more about our take on the different boiler brands here. These are costs that are typically not very well understood by boiler buyers - parts and labour that is based on the specific work to be done in your property. For example, whether your boiler needs to be moved, or whether the waste exhaust pipe (the flue) comes out of your wall or roof, which can change the cost for the same boiler and work by hundreds of pounds. Your engineer may suggest that you switch to a combi, or (much less often) switch from a combi to a full system with hot water tank. Due to the extra work required in converting to a different system, this increases the time and cost of installation (typically from one day to two days). However it’s worth bearing in mind that with the latest combi technology, you’ll benefit from both the efficiency savings, but also the lower maintenance costs with less ageing separate parts like pumps and valves that can fail. Good installers will consider this in their recommendations. What’s a flue? In the past, older boiler systems would deal with steam and other waste products by pumping them out of the building at the nearest point - or even releasing them inside the building, perhaps into the chimney. 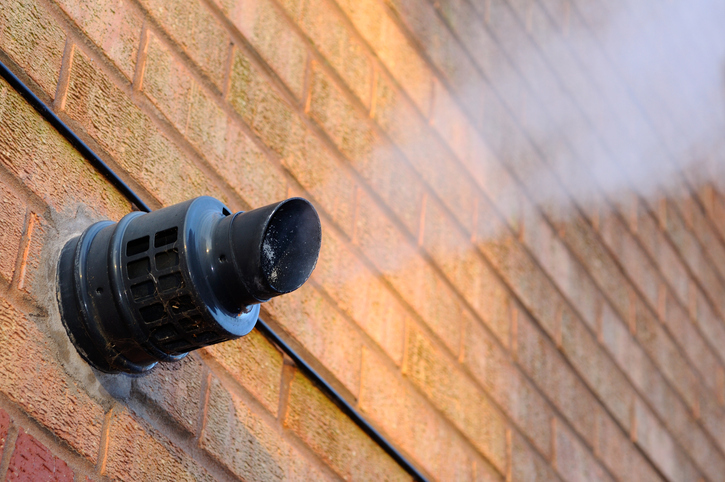 Things have changed a bit in recent years - new regulations have come into force and it’s now important to ensure your gas is directed away from both your own and neighbouring homes, sheds, animal housing and other parts of properties. The pipe that carries these waste exhaust gases is called a flue, and is an essential piece of kit that on its own costs over £100. In most cases, the flue exits through an outside wall. However, where your boiler is located in the centre of your home, the flue will exit through your roof. In this case, a new flue (with extensions) will need to run from the boiler to your roof. Flues cannot be re-used, for safety reasons, so this adds quite a bit of cost. In other cases, flue management pipes will be needed to point the gas away from windows. The parts will be factored into your installation price, and may add a couple of hundred pounds to your installation. It’s critical that your installation meets Gas Safe and building regulations for safety, to avoid problems and costs down the line. Ensuring the right pressure of the gas in your central heating system is vital to making sure it works correctly. This means making sure that the size of your gas pipes is right for your new boiler. It's common for houses to have smaller 15mm gas piping, which needs to be upgraded to the wider 22mm variety for new boilers to function safely and properly. If the pressure is too low, your system is likely to function incorrectly and lack power. And with incorrect installation, there’s a chance of a leak - definitely to be avoided! If there are upgrades to gas pipe required, this will take extra work and affect the cost of the installation - all good installers will include this as part of their quote. The white or black plastic pipe that runs outside your property, and is prone to freezing in winter - that’s your condensate runoff pipe. It’s not usually expensive, but it’s important that the runoff is drained off correctly, and that the pipe is of the right size to ensure it doesn’t freeze in the winter. Depending on available options, this can be down the kitchen sink, or in a neutralising bed of limestone chippings outside. This can affect the cost of installation, but ensures trouble-free operation of your boiler on the coldest days of the year. A boiler replacement is a great time to think about rearranging things and perhaps freeing up a bit of space. The original boiler in many houses was a bit larger and needed a dedicated part of the room or cupboard. Modern boilers tend to be a bit more compact. And with the compact combi ranges from manufacturers such as Worcester Bosch, you can think about putting your boiler somewhere less intrusive, such as a small cupboard or under the stairs, rather than in a bedroom or bathroom. "A boiler replacement is a great time to think about rearranging things and perhaps freeing up a bit of space." Moving a boiler does come with its own set of challenges though, mainly around getting water pipes to your new location, and ensuring waste gases can still reach the outside of your home. Depending on the type of move, it can cost an extra 15-20%. But the result can feel like a renovation - so definitely worth considering while the opportunity is there! So we’ve looked at which type and size of boiler, and the parts and work needed to get it up and running safely. Now onto some of the things you’ll notice after your new boiler is installed and making your home toasty warm (to keep it that way!). Needless to say, it’s important for you to be able to control your heating yourself once your engineer has installed and set everything up. Controls and thermostats are changing all the time, and the latest smart technology allows you to control your heating remotely from your mobile. You can set timers and seasonal presets - and some of them even learn when you're home and allow you to turn on the heating with your voice, if you have a smart home device such as an Amazon Echo or Google Home. 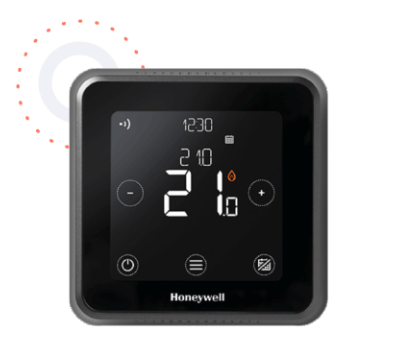 These latest 'smart' thermostats like the Nest or Honeywell Lyric T6 typically cost £100-200, and can be added as part of the boiler installation for a big daily quality of life improvement. All new installations are required to include efficient programmable controls, and the cost of these may change depending on what you choose to go with. Talk to your engineer about the options available, and they’ll be able to suggest the best one for you. One thing that many companies will not include to bring the headline price down is a magnetic filter. 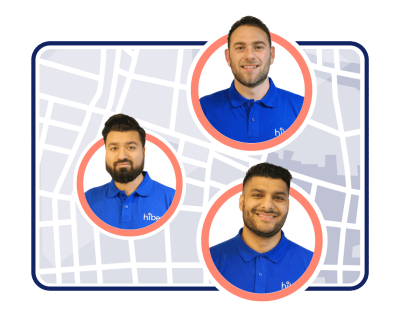 At hiber, we know that boilers only stay reliable if they stay clean. Your radiators, over time, cause flakes of metal to enter your central heating system, and build up in your boiler. Installing a magnetic filter reduces the likelihood of a leading cause of boiler breakdown by trapping these metal fragments with a magnetic filter, keeping the water in your system clean. They're recommended by engineers and boiler manufacturers alike. It’s something that you won’t notice right away, but will certainly pay for itself over the life of the boiler in trouble-free operation. It’s also vital that the system be primed with protecting chemicals as a belts-and-braces approach. Both of these should be part of any quote for a new boiler. All boilers come with a manufacturer-backed warranty, of different lengths - typically 2 to 10 years. What this means is if your boiler fails during the warranty period, the manufacturer (who are often reputable companies around for up to one hundred years) will be there to provide support and replace faulty parts without costly repair costs. Different installers are able to offer different warranty lengths, and the cost of these warranties is built into the quoted price. However, it’s important to keep in mind that the manufacturer warranty is only valid if you get your boiler serviced annually, so choosing an installer that offers annual servicing can be a great way of ensuring that your boiler stays under warranty, so you have peace of mind that you’re covered. The company and engineer that completes your install should always be Gas Safe registered, with a strong track record and some good reviews. There aren’t that many really dodgy ‘cowboys’ these days, but we often see quotes of £1,500 and below achieved by cutting some corners, along with the prospect of poor aftercare once you’ve paid. Good quality, well-run installers do need to charge a bit more than this, but this ensures they can cover quality checks, training costs, maintaining Gas Safe credentials, and other expenses that go towards ensuring each job is carried out safely and correctly. A key thing to consider is what happens if you have any issues with your boiler - like with anything, customer service differs dramatically between companies. We encourage you to choose a company that is committed to taking care of its customers for the long term, rather than just putting a boiler on the wall, never to be heard of again. Many larger, household names can charge more - sometimes £1,000s more, because they're well known and able to. Some of the time you get better service in exchange for this, but in many cases you'll be getting a similar service from similar local engineers, for the same boiler and inclusions. That's why we encourage people to look at different options and understand what is actually in the quote to make sure you're getting value for money. It's not just about small vs. large companies, though - it's how efficient, thorough and customer-focused they are. 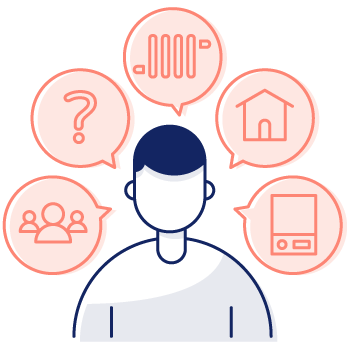 With good people, communication and a bit of help from technology, it’s possible to reduce expenses and pass the savings on to the customer, along with providing great aftercare for years to come. When choosing an installer, look for the best of both worlds - a company that will provide a top quality install, with excellent aftercare in case anything goes wrong, but also charges a fair price. So, how much will my new boiler cost? As you can see, your quote for a new boiler can change by £1,000s of pounds, but not all boiler quotes are created equal - its important to ensure that you're comparing like with like! Often the price differences between companies are based on a combination of service, aftercare, and what actually goes into the quote (which you now hopefully feel a little wiser on). You're then in the best position to decide what is actually the best value for you. 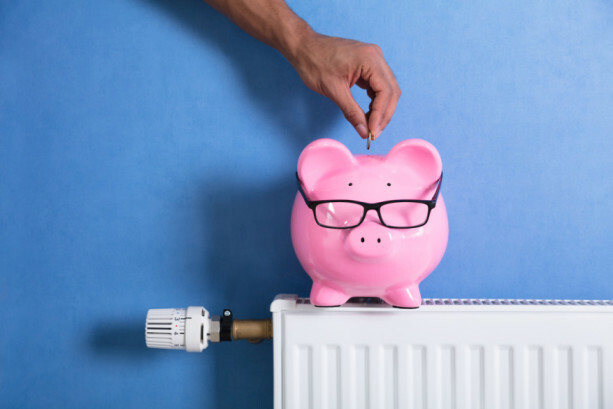 If you’d like to know more about what goes into the cost of a boiler, and the options specific to your home, feel free to leave your details below to speak to an expert or simply drop us a line on 0808 169 6484.